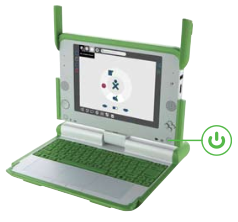 The hippies philanthropists at OLPC are overhauling the guts of their XO-1 with the aim of keeping the portable's battery life while increasing its capabilities. The big news is the adoption of Via's C7-M chip, with clock speeds between 400MHz and 1GHz, that'll add new possibilities like HD decoding and surround sound. But that's not the end of the upgrades.